The Kansas City Royals came off two straight trips to the World Series by having a disappointing 2016 season marred by injury. Do the Royals have one more run in them with their current core? 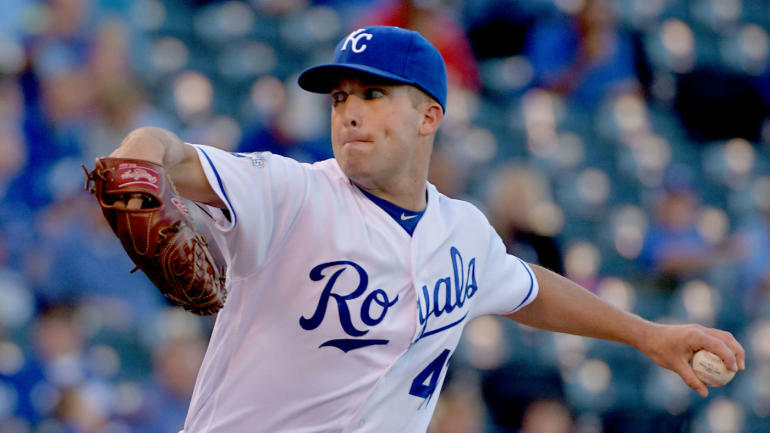 The Royals will trade for a starting pitcher before the Trade Deadline. 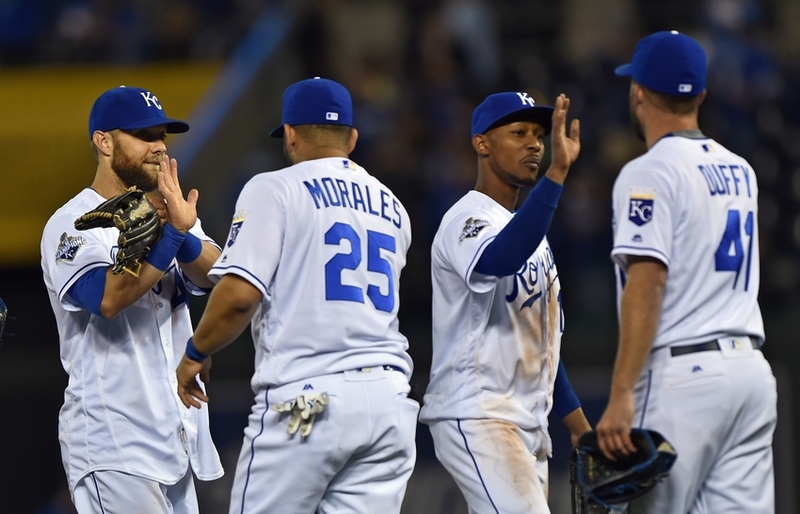 It's really hard to do what the Royals did in 2014 and 2015. Taking two straight trips to the World Series, winning one, and almost winning another is one of the greatest runs in recent baseball memory. In 2016, the stars finally stopped aligning for the Royals. Some key injuries derailed their chances at a third straight trip to the top of the American League. With that said, a .500 record is still a step up from the depths the Royals have been over the last couple decades. The Royals were fairly active over this offseason. They traded speedy outfielder Jarrod Dyson to the Mariners for starter Nathan Karns, as well as traded closer Wade Davis to the Cubs for outfielder Jorge Soler. (That brings the "Big Three" bullpen arms that helped make the magical run down to one.) 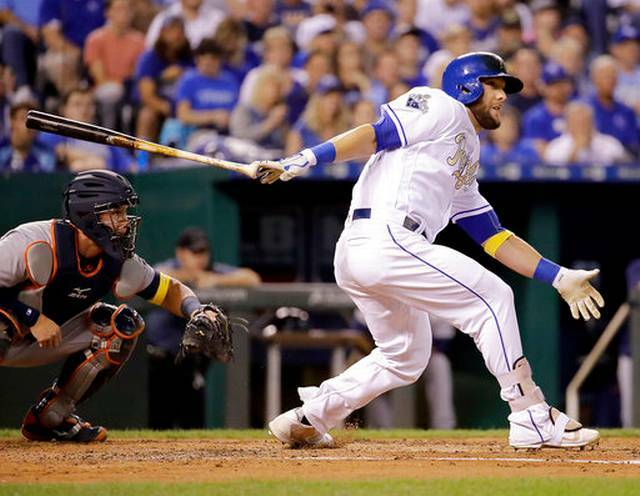 In free agency, they went out and picked up slugger Brandon Moss and starter Jason Hammel. The biggest news from the Royals' offseason was the reason Hammel needed to be signed. 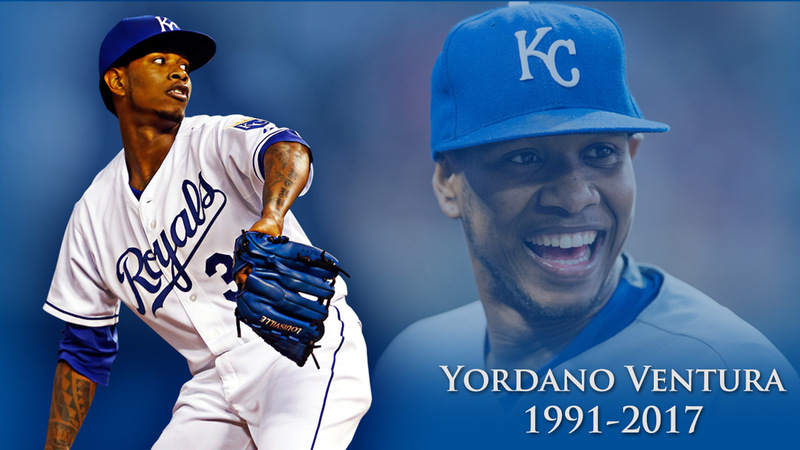 Tragedy once again struck the game of baseball as Royals' ace Yordano Ventura was killed in a car accident in the Dominican. 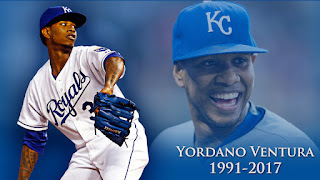 With a team as homegrown as this one, a tragedy like this really hit the Royals' organization hard. 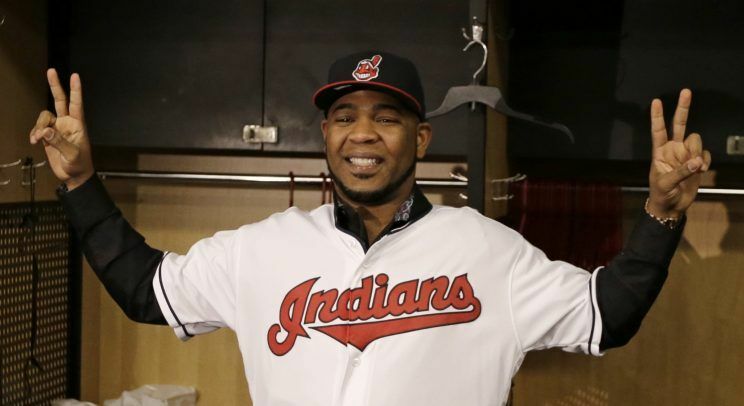 His absence in the clubhouse will be felt more than just his production on the field. One of the bigger storylines for the Royals entering 2017 is the fact that many of the mainstays of the current team have their contracts up at the end of the season. 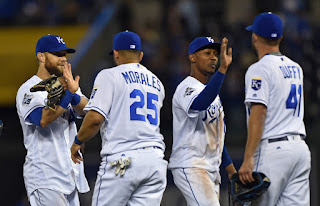 Salvador Perez has already been re-signed, but the story is Eric Hosmer, Lorenzo Cain, Alcides Escobar, and Mike Moustakas can't all stick around for what they are worth. The oldest and most established member of the Royals' core, as well as the first one the team committed to, is Alex Gordon. At 33, he is starting to see some decline in his production, but he needs to have a rebound season after a terrible 2016. An unexpected surprise for the Royals in 2016 was the emergence of Danny Duffy. He went from swing pitcher, getting time in the bullpen and making a spot start or two, to being the ace of the staff. Now with the death of Yordano Ventura, Duffy is the closest thing the Royals have to a established starter in their prime. They need him to pitch like he did down last season if the Royals want to have any chance of succeeding in 2017. Throughout the run they have been on, the Royals have always struggled to have a dominant rotation despite their dominant bullpen. Duffy showed potential to be that dominant ace they have been looking for. Complicating the dilemma facing the Royals next offseason is the fact that their farm system is fairly bare. They are one of the few teams with the distinction of having no prospects in baseball's top 100 prospects. 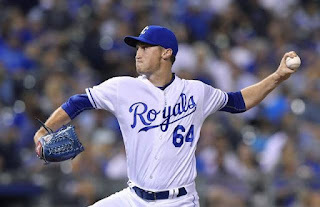 Their best prospect, Matt Strahm, got a good taste of the big leagues last season logging 22 innings with a 1.23 ERA out of the bullpen. The Royals aren't sure yet if he will stay in the bullpen or if he will eventually be a starter. Either way, he will be a player to keep an eye on throughout the season. This might be the last ride for this current core of Royals' players, but there is just too much talent around the league for them to make the playoffs as the roster currently sits. 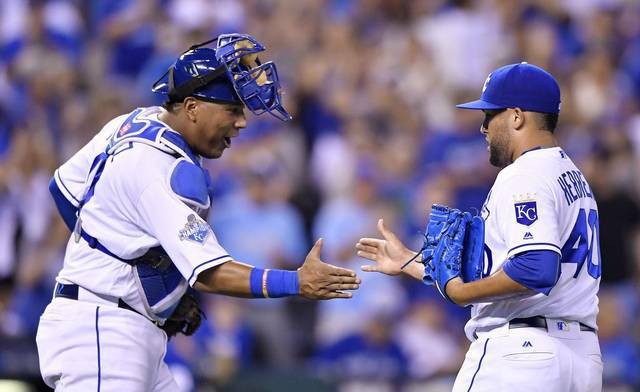 Their rotation has declined, and their bullpen is not as formidable as before. Their lineup is back in tact, but without the pitching, they are probably going to come up just short once again. Lorenzo Cain and Mike Moustakas will be traded mid-season. Like I said, the Royals will not be able to re-sign all their stars. Some are going to walk away from Kansas City at the end of the season for greener pastures and deeper pockets. By the Trade Deadline, the Royals will most likely decide which they are keeping and which they are going to let walk. 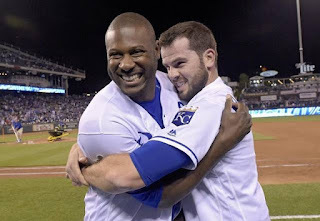 They have already signed Salvador Perez to an extension, an obvious choice. Of the remaining three, my guess is the next priority will be Eric Hosmer. If that is the case, that means Lorenzo Cain, Alcides Escobar, and Mike Moustakas will probably be left out. The Royals will quickly realize they will rather get something for these guys instead of letting them walk at the end of the season. This might be their chance to rebuild the farm system and find their replacements. I doubt they will trade all three, but two out of the three would be realistic. They will ride that fine line between contending and rebuilding the last few months of 2017. Round One of the Movie Battle is in the books. 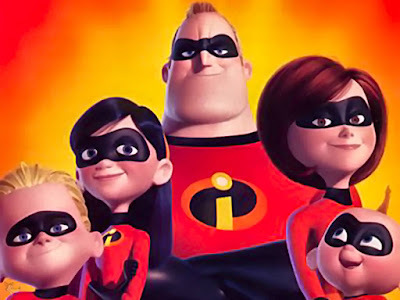 We had 32, Disney Films, enter this tournament now we are down to just 16! So welcome to the Sweet Sixteen! We had a crazy first round, that had a few surprises! We witnessed a number one seed lose to an eight seed and a number two seed lose to a seven. We watched as two different games went down to the wire and had a difference of less than 3 percent. So here are the results of the first round! Winning film will have there percentage of votes next to there name. Here are your Round Two Match Ups! The New York Yankees had a transition year in 2016 by dropping some older veterans and letting the kids take over. It led to some late success for the team, but are they ready to contend in 2017? 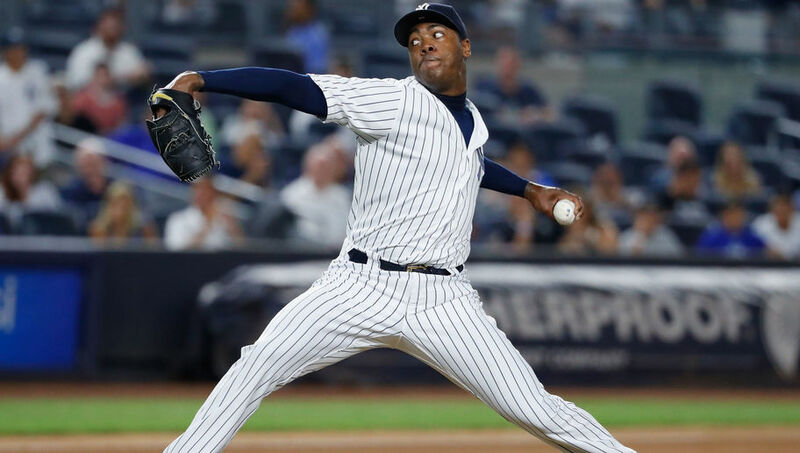 Aroldis Chapman will not end the season as a Yankee. I thought the Yankees were going to fall apart in 2016 as their age was finally going to catch up with them. However, they somehow rode that fine line of rebuilding while still competing. Some of the moves that did this were the trade of Andrew Miller to the Indians and the (successfully predicted) trade of Aroldis Chapman to the Cubs. All this led to a successful season with all things considered. 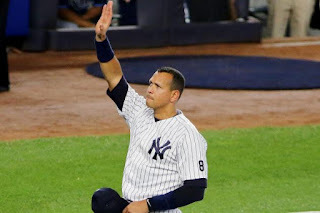 One of the more interesting moments of their season was the semi-forced mid-season retirement of the one and only Alex Rodriguez. The Yankees had a fascinating offseason, bringing in some veterans to complement their new young core. Veterans Matt Holliday and Chris Carter were brought in to bolster the lineup. Aroldis Chapman was brought back in to once again anchor the bullpen. 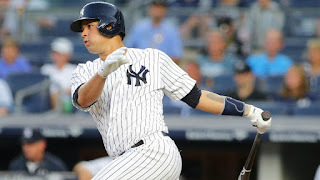 The main subtractions were the retirements of A-Rod and Mark Teixeira and the moving on of veterans Brian McCann and Carlos Beltran (traded mid-season). With all things considered, it was a pretty quiet offseason when you consider the standard the Yankees have set for themselves. One of the reasons the Yankees had such a strong finish to their season in 2016 was the emergence of catcher Gary Sanchez. In just 53 games, Sanchez hit 20 homers with 42 RBI's, gathering a 3.0 WAR. If you project those numbers out over a full season, it is pretty staggering where they would have ended up. Optimistic Yankee fans already are voting him into the Hall of Fame. However, most baseball people are wondering if he was a fluke or the real deal. Is he the next great catcher, or the next Jesus Montero. Montero also had a huge second half as a rookie one year. They used him to trade for Michael Pineda, and he never reached the promise of that first run. 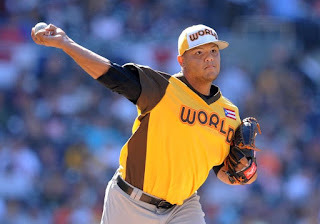 The Yankees sure are hoping Sanchez is not another Montero since they are making him the newest face of their franchise. 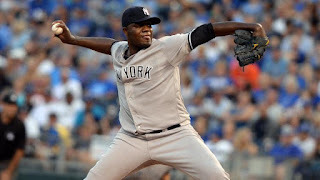 Speaking of Michael Pineda, the Yankees need him to finally step up. It's insane to think that, as disappointing as Pineda has been, the Yankees got the better end of that deal between them and the Mariners. This might be one of the most disappointing trades on both sides in history. Michael Pineda made an All Star Team in his rookie year with the Mariners, looking like a future ace. After the trade, a major shoulder injury cost him about two and a half years. He has only had two full seasons since then, and his ERA hasn't come close to dropping below 4.00. With Tanaka solidified as the ace of the staff, CC Sabathia hitting the twilight of his career, and youngsters like Luis Severino still trying to prove themselves, a guy like Pineda is crucial to establishing a dominant pitching staff. They need him to step up. 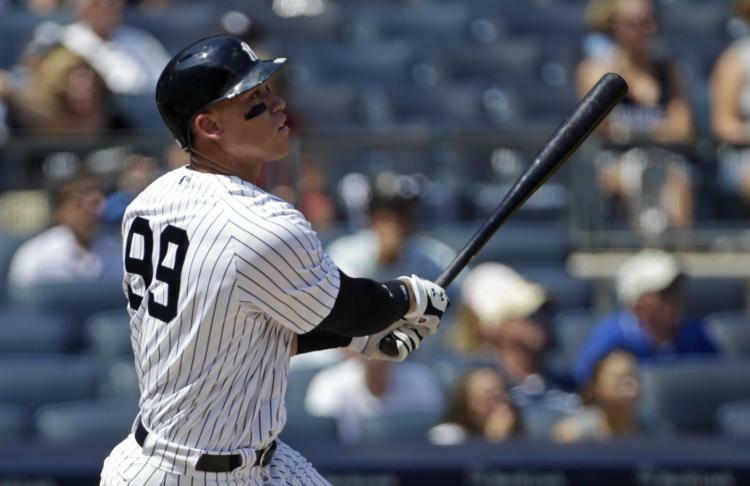 Top prospects like Gleyber Torres and Clint Frazier are not quite ready for the Show (Frazier is closer than Torres), however Aaron Judge is the one to watch this season. Judge is a beast! At 6'7" and 275 pounds, Judge will be making the Opening Day start in rightfield for the Pinstripes. Having made his debut last season, he showed a glimpse of what he can do moving forward. 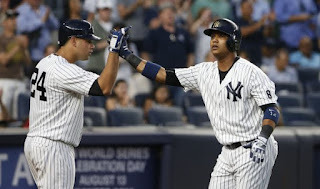 He will be looked to as a centerpiece of the Baby Bronx Bombers. The youth movement in the Bronx is going to lead to a fun season. They are still a year or two away from really competing, but they are well on their way. The fact that the Yankees are trusting these kids to be the heart of their team says a lot. The last time they did this they handed the franchise over to players like Jorge Posada, Bernie Williams, Mariano Rivera, and Derek Jeter. In a few years, they could be talking about these Yankees the same way the talk about last year's Cubs and those Yankees teams of the 90's. Brett Gardner will be traded mid-season. The Yankees are not quite done tearing down their past. 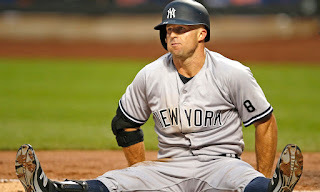 Brett Gardner is one of the holdovers from the old regime. A top prospect like Clint Frazier is the future for the Yankees. They are going to want him patrolling their outfield sooner rather than later. Moving a guy like Gardner will allow that to happen. 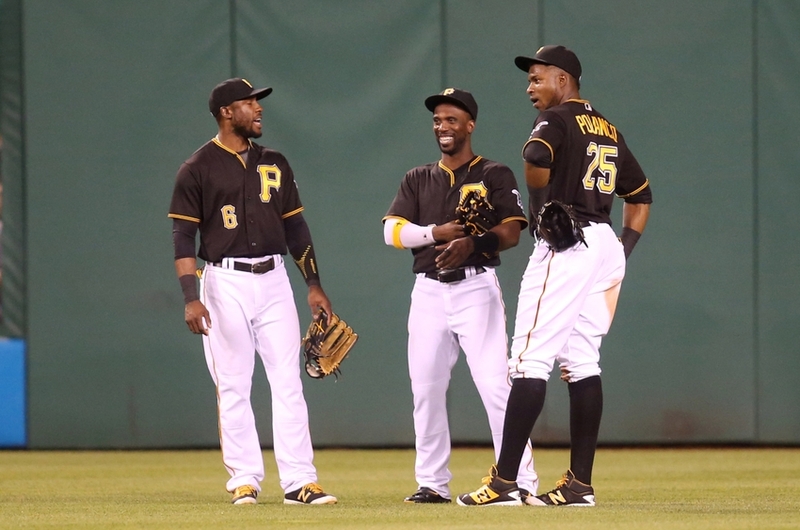 For the first time since 2012, the Pittsburgh Pirates were left out of the postseason party. Will 2017 bring a return trip to October baseball? Starling Marte and Andrew McCutchen will switch positions by the end of 2016. With a team as talented as this Pittsburgh Pirates team, I figured they would make a return trip to the playoffs. Due to some struggles in their pitching staff, and an extremely strong top of the division, they came up short for the first time in three years. Another reason for the slight decline for the Pirates was the decline of Andrew McCutchen. 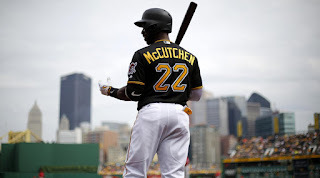 For years, experts have said Andrew McCutchen was not the best centerfielder on his team. After a true struggle defensively in 2016, my prediction came true. It just came true later than I thought. 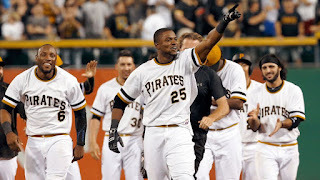 McCutchen is moving to right, Gregory Polanco is moving to left, and Starling Marte is taking his rightful place in center. 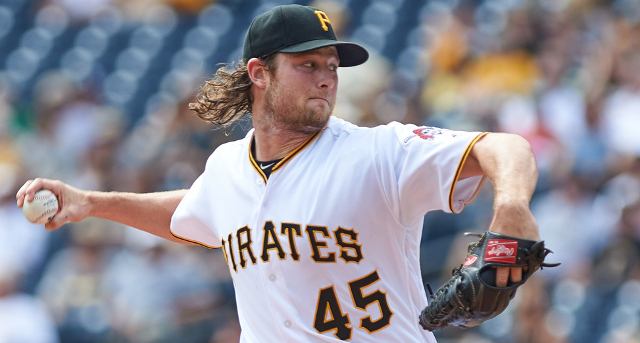 The Pirates made very few moves this offseason. After trading Mark Melancon at the Deadline last year, and losing a couple veteran starters in free agency, the roster is pretty much set. No free agency moves, no trades (despite a lot of talk about trading Andrew McCutchen). They are counting on their farm system to fill any holes they may have had. Despite a broken leg that ended his 2015 season, Jung Ho Kang has had two very productive seasons in the big leagues. However, he has yet to have a full season. This season appears to be no different as the Pirates' third baseman is stuck in Korea having trouble obtaining a work visa after an offseason arrest in his homeland. The Pirates are hoping he makes it back by Opening Day, but there is no guarantee he plays in the big leagues at all this season. He has been a borderline All Star the last two seasons. They need him in the lineup to compete. The former first overall pick in the draft had a season that lived up to expectations in 2015 as he made the All Star Team and finished 4th in the Cy Young voting. However, 2016 was disappointing as his ERA was over a run higher than the year before. Cole needs to get back to the elite level he showed in 2015. If he doesn't, the Pirates have no chance. The Pirates have a trio of prospects that are ready to burst on the scene in 2017. Tyler Glasnow is projected to start the season in the rotation, and Josh Bell is slated to be the Opening Day first baseman. However, the most intriguing prospect of the group is outfielder Austin Meadows. He is a top ten prospect in all of baseball and about ready to become a star. The problem is he is blocked by a trio of All Star caliber outfielders in Polanco, Marte, and McCutchen. This was one of the reasons McCutchen was almost traded; they wanted to make room for Meadows. It will be interesting to see how this plays out throughout the season. Starting with the Tigers at #17, every team from here on out will be competing for a playoff spot in September. The Pirates will be coming up a little short though. They will improve from their performance in 2016, but there are just way too many teams better than them. With their mixture of established talent and bright future starts, they will be fun to watch throughout the season though. 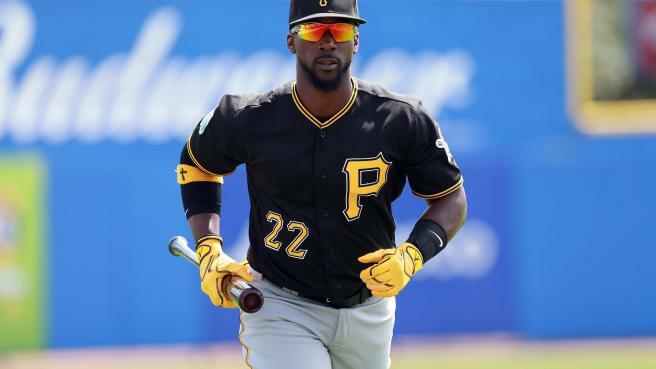 Andrew McCutchen will be traded by the end of the year. Andrew McCutchen has been the face of the franchise since his debut. However, with his declining numbers, the Pirates not making the playoffs, and the fact that he is the elder statesmen in the outfield, it makes sense if he moves on. 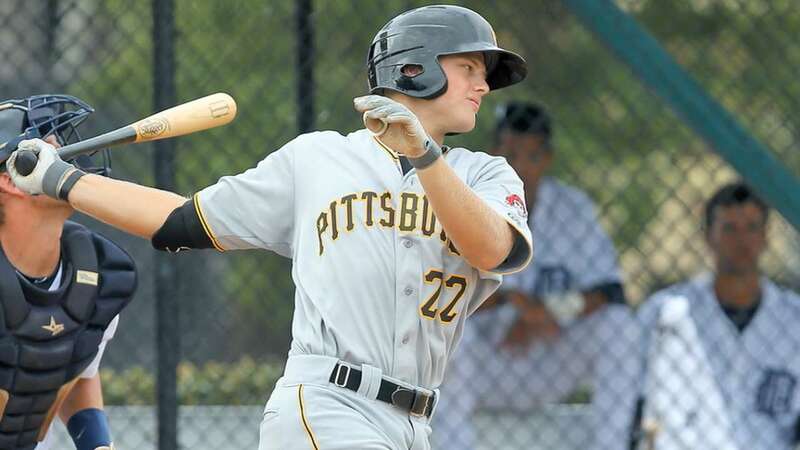 Like I said, they have a can't-miss phenom in Austin Meadows waiting for a spot. One of two things will happen this year. Either McCutchen gets traded for more prospects or Meadows gets traded for a star to make the playoff push. It looks more likely that McCutchen gets traded though. The Detroit Tigers went from the cellar in 2015 to a step away from the playoffs in 2016. With a rebound like that, will they continue to climb the ladder in 2017 or fall back to a few rungs? Jordan Zimmermann will win the AL Cy Young. I correctly predicted that 2015 was a one year plunge down the AL Central standings. What I, and many others, did not predict was the meteoric rise of the Cleveland Indians that kept the Tigers from winning the division. Without the Indians, I may have had this right on last year. The one thing I did not get right at all was Jordan Zimmermann. He started the year off hot, but injuries derailed a promising season. Who knows, he may have ended up in the Cy Young race. 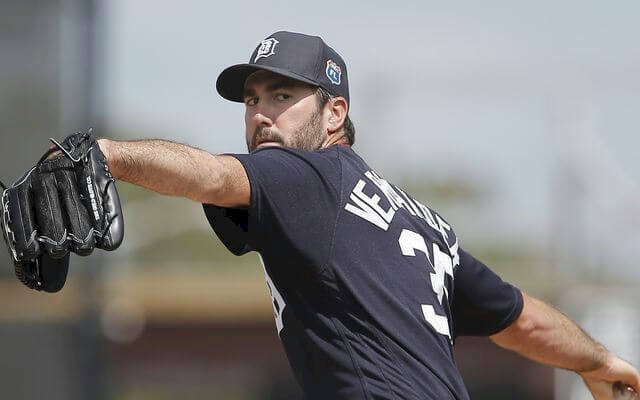 In past years, the Tigers have signed marquee free agents like Zimmermann and Justin Upton, or pulled blockbuster trades for guys like David Price and Yoenis Cespedes. This offseason was bizarrely quiet. The Tigers return almost the exact same roster as last season. 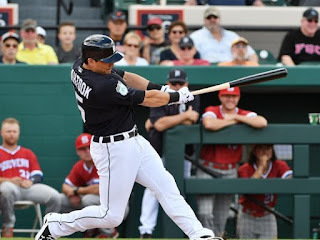 The one difference is Cameron Maybin moving on to the Angels, and the low level trade for Mikie Mahtook, an outfielder struggling to make the roster for the Rays. 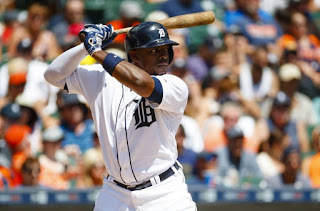 It was a shock to a lot of people when Justin Upton signed with the Tigers last offseason. Then, he went on and had a terrible start to 2016. His numbers ended up respectable, but he needs to have a much stronger year this year for the Tigers to contend. Upton has always been on the brink of being a superstar, but he has never found himself thought of as one of the game's best. At 29 years old, he still has a few peak years left, but his window is closing quick. 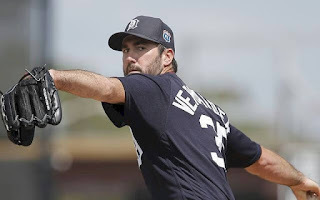 They brought in Zimmermann last year and paid him like an ace to complement Justin Verlander. Instead, injuries derailed his season, much like a good portion of his career so far. 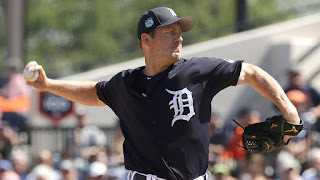 With the resurgence of Justin Verlander and emergence of Michael Fulmer, Jordan Zimmermann could make this pitching staff great. 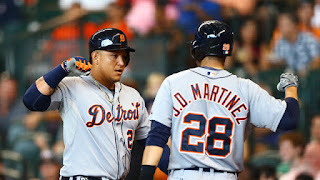 The Tigers do not have a lot of top prospects knocking on the big league door, but one that has a chance to have a huge impact at the big league level is Joe Jimenez. Francisco Rodriguez has a limited number of bullets left as the closer for the Tigers. 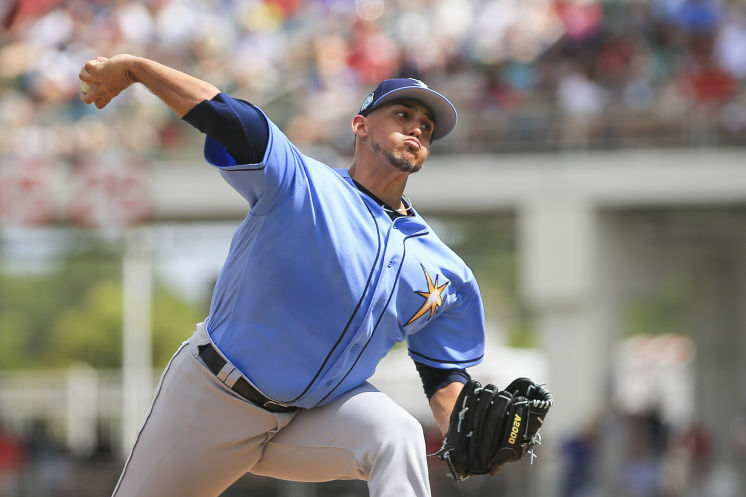 Joe Jimenez appears to be his successor once he is ready. This could have as early as mid-season 2017. The Tigers are getting old. Their window is closing quickly. Miguel Cabrera is 34, Justin Verlander is 34, Ian Kinsler is 35, and Victor Martinez is 38. With the talent of some other teams in this division, and the age of the Tigers, it is looking like the window for this Tigers team is just about closed. If it isn't closed, this is possibly the last year they can compete before they make some wholesale changes. Brad Ausmus will be fired mid-season. 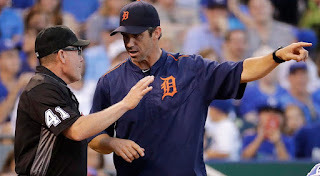 I'll be honest, Brad Ausmus has not been the greatest manager in the world. At the same time, a roster of stars on the wrong side of 30 with a first time manager is not quite a fair situation. There was a lot of talk that Ausmus wasn't even going to make it to 2017 in Detroit. However you want to look at it, the manager is usually blamed for an underachieving team. Ausmus will not last long. Look for Lloyd McClendon, the man who should have replaced Jim Leyland in the first place, to fill in as interim manager if Ausmus get the ax. 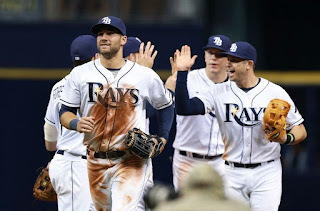 The Tampa Bay Rays, who normally run a strict course of mediocrity, really struggled in 2016, hitting the cellar in the division for the first time since 2007, when they were still the Devil Rays. Will 2017 bring about more of the same or open them back up to the middle of the pack? Chris Archer will start the 2016 All Star Game. The Tampa Bay Rays took a trip down to the cellar in 2016, Kevin Cash's second season as manager. They continued to ride their fine line of competing while rebuilding, trading away guys like Matt Moore mid-season for prospects. They are hoping that they can work their way back up the division in 2017. The Rays traded away several key pieces to their team this offseason, including Logan Forsythe and Drew Smyly. They also made some very interesting free agency pick-ups in catcher Wilson Ramos and outfielder Colby Rasmus. These will definitely upgrade an offense that always tends to struggle. 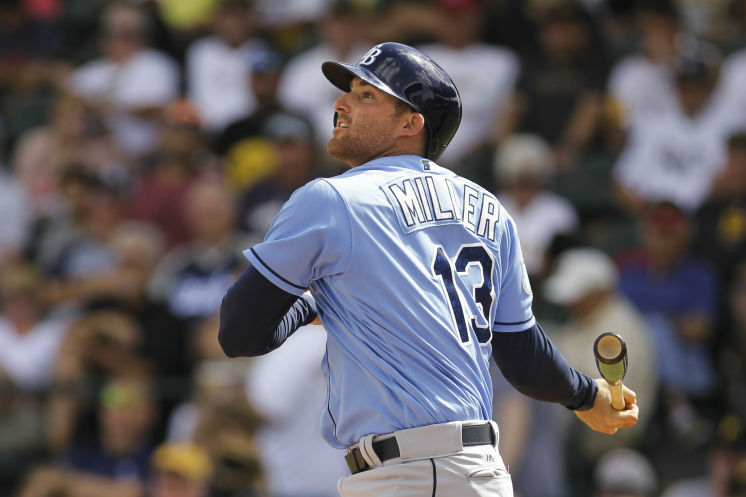 Through a rough 2016 season, one of the bright spots was Brad Miller, who finally found his stroke at the big league level. He hit 30 home runs with 81 RBI's. However, he had a .243 average at the same time. The Rays are moving him full-time to second base with the departure of Forsythe and arrival of Matt Duffy in the Moore trade. If the Rays' offense is going to improve this season, they need Brad Miller to take another step forward instead of regress back and prove last year was a fluke. My Fearless Prediction for the Rays last year may have been one of the worst beats I had in 2016. 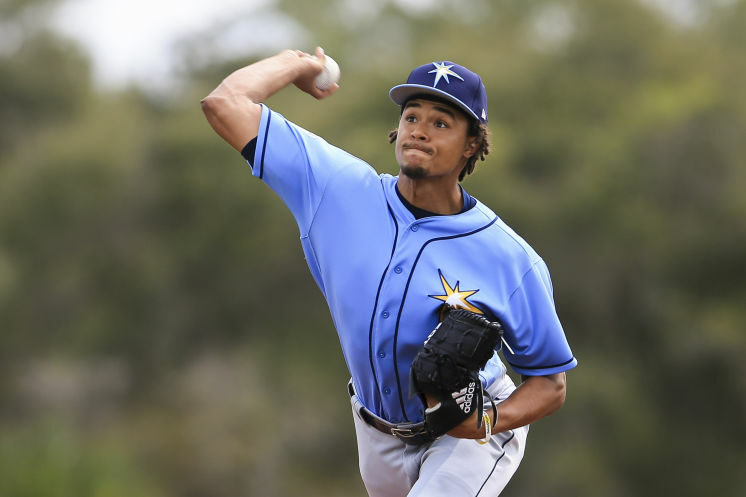 Chris Archer was set up to become a superstar last year. Instead, he struggled to a 9-19 record, sporting a 4.02 ERA. His 1.8 WAR was the worst of his career. If the current incarnation of the Rays have any chance of succeeding, Chris Archer needs to become the ace they have been expecting him to be. This will either give them the frontline starter they need or another piece to trade away and build for the future (which they almost did this offseason even after that abysmal season). I don't understand how the Rays do it. They are constantly reinventing themselves, trading away pieces they can't afford anymore for the next generation of Rays stars. The Logan Forsythe trade this offseason is a perfect example. Forsythe worked his way up to being one of the best second basemen in the game. When they traded him to the Dodgers, he required a high asking price. The centerpiece of the package brought back was Jose De Leon, a 24 year old pitcher ready to burst on the scene. Watch for him to take his place among the long list of All Star pitchers that first made a name of themselves on the Rays. You can't keep the Rays down for long. I'm not saying they are going to compete in the AL East, but they will find their way out of the cellar. 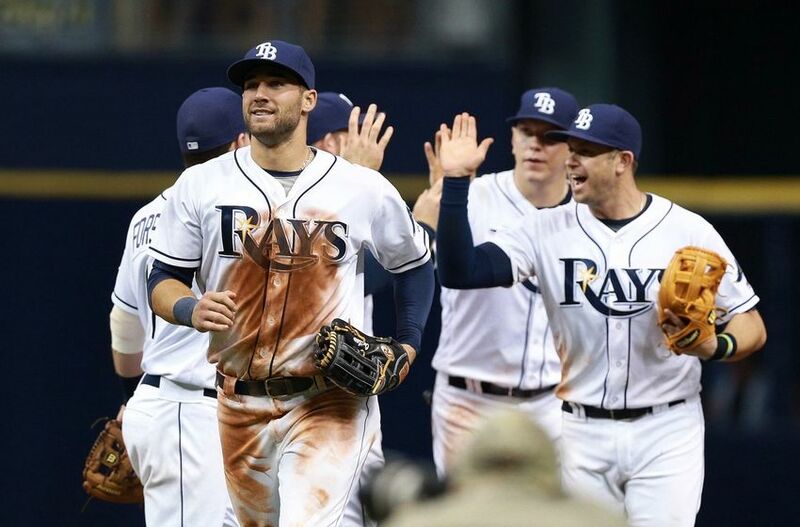 What makes the Rays different than so many other teams is their pitching. Even with Matt Moore traded and Chris Archer falling apart, the Rays sported one of the deepest starting rotations in the league. This year is no different. Guys like Jake Odorizzi and Alex Cobb could be aces for any other team (and might soon be that). Blake Snell is a phenom ready to be a star. If their offense can do anything, they should be able to carry a .500 record. If they don't, Kevin Cash will be looking for another job as early as June. 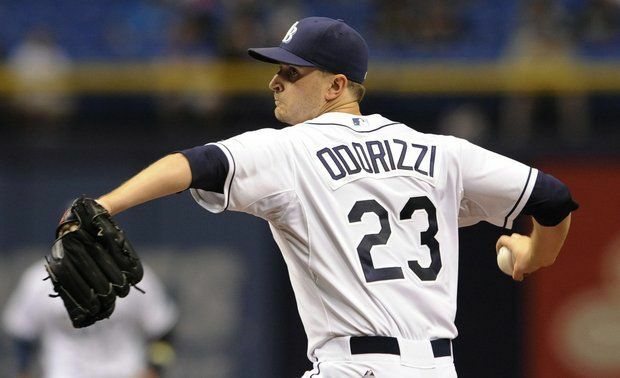 Jake Odorizzi and Alex Cobb will be traded mid-season. 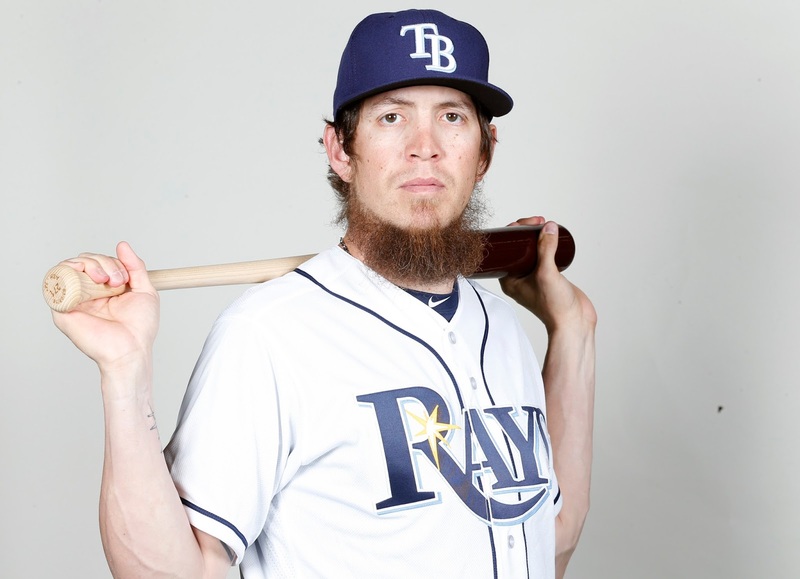 Like I said, the great thing about the Rays is their ability to re-invent themselves. Along with De Leon, they have several other pitchers ready to burst on the scene either this year or next (4 of their top 10 prospects). They need to clear some roster space for this to happen. Look for Odorizzi, Cobb, and maybe even Chris Archer to be moved this season to make room for the next set of young guys. 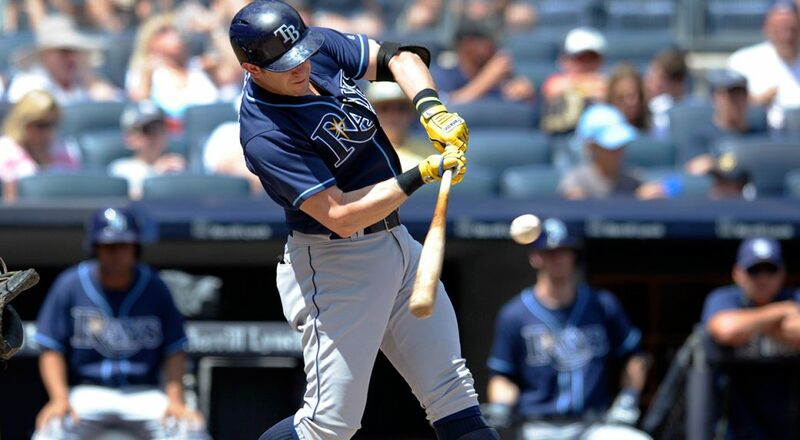 Instead of Archer, Cobb, and Odorizzi, you will be hearing about De Leon, Honeywell, and Hu by the end of the year. The Toronto Blue Jays came just short of the World Series in 2016. What do their prospects look like for the 2017 season? Will they get over the hump, or fall back to the pack? This will be the last year the Blue Jays make the playoffs for a decade. I was all in on the Blue Jays in 2016. I had them coming up short in the World Series. It turns out their playoff run came up a little short of that thanks to an insanely hot Cleveland Indians team. 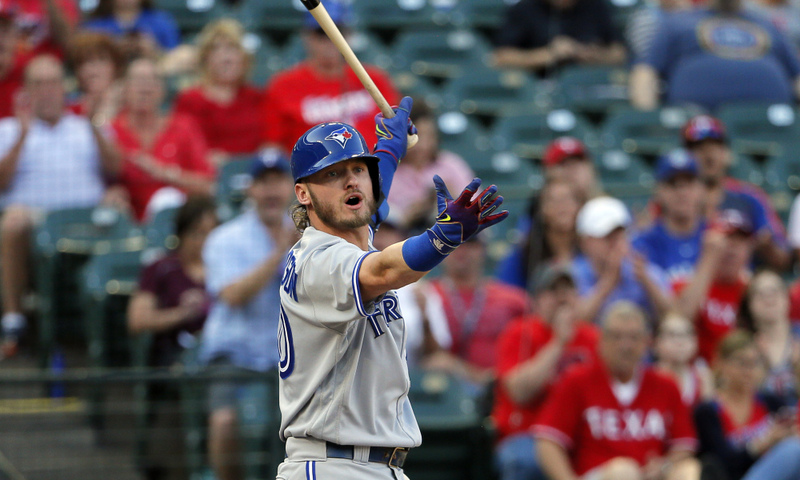 If nothing else, the Blue Jays showed they know how to compete. As for my Fearless Prediction, only time will tell. My look ahead in my Fearless Prediction was based on how this offseason was going to go for the Blue Jays. 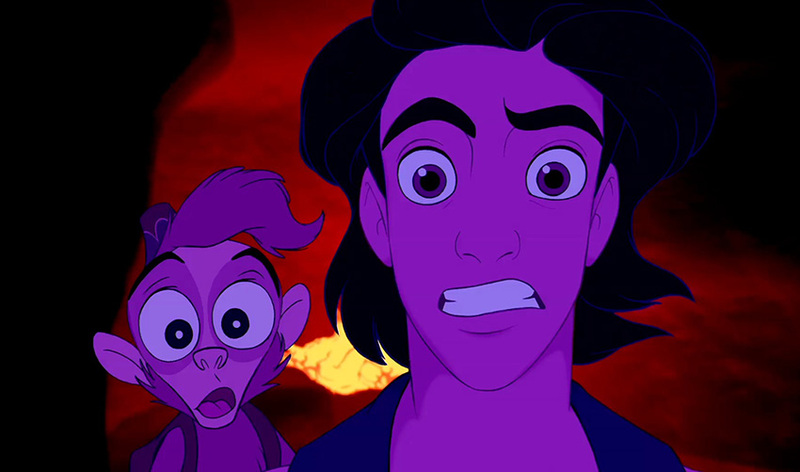 It had the potential to be catastrophic. Although it didn't hit the depths it could have, it still was pretty bad. They watched All Stars Edwin Encarnacion and Michael Saunders walk away. They re-signed aging slugger Jose Bautista for a discount only when it became apparent that no one else wanted him. After losing these key pieces, the only player brought in was DH Kendrys Morales, quite the downgrade over Encarnacion. This is the same player I highlighted in this position last year, but it is even more true this year than last year. 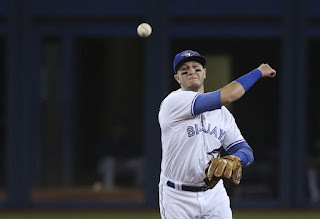 There was a time when Tulo was one of the best players in baseball. The only question was if he could stay healthy. Ever since he moved to Toronto from Denver, his production has fallen apart. At his best, Tulowitzki was almost a 7 win player when you look at WAR. In 2016, he was just over a 3 win player. That's not terrible, but it's not superstar level either. With the loss of Encarnacion and Saunders and the deterioration of Joey Bats, the Blue Jays need Tulo to be the superstar again. It would also help if he could play over 140 games, a feat he has only accomplished 3 times in his 10 year career. The Blue Jays had outstanding performances from some of their starters last season, most notably JA Happ and Marco Estrada. 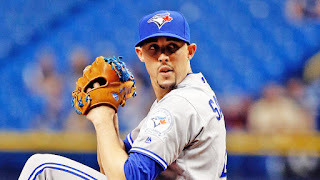 However, the real spark was Aaron Sanchez. The 23 year old had 15 wins and almost 200 innings. He would have surpassed that threshold if the team let him, but they decided to shut him down late in the year to control his workload. However, a pitcher rarely sees his inning count go up by 100 in one year without any ill effects. With the offense possibly taking a step back this year, the pitching needs to step up and as good if not better than 2016. Their ability to do this starts and ends with Sanchez, his health, and his ability to duplicate his dominance from a year ago. The Blue Jays are a few years away from their top prospects making an impact on the big league roster (however we all look forward to the debut of Vlad Guerrero Jr.). One player who might have a chance to make an impact this season is first baseman Rowdy Tellez. The incumbent in Toronto is Justin Smoak, who all Mariner fans know is the definition of a bust (he has a career WAR of 1.5 ... he has "boasted" a negative WAR in more seasons than a positive WAR). Tellez, listed at 6'4" and 220 pounds, has the potential to be a serious power threat at the next level. 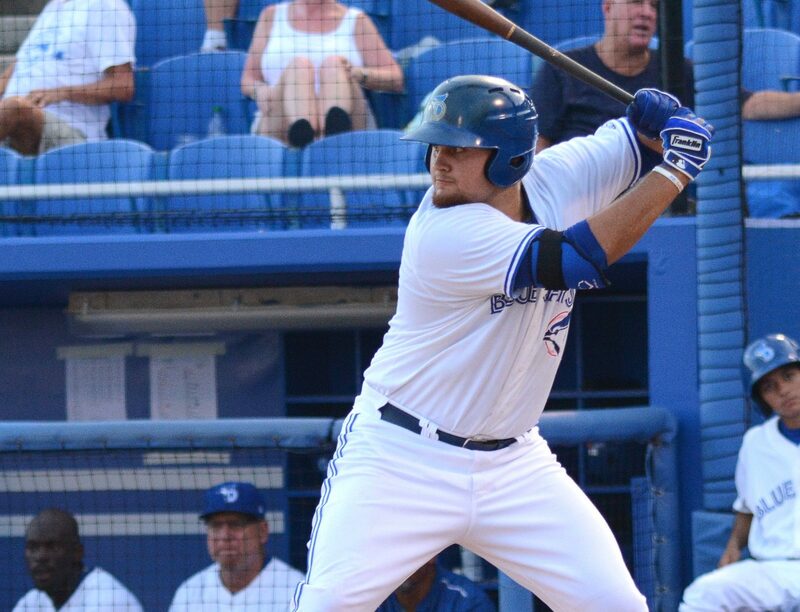 Look for the Blue Jays to give up on Smoak at some point this season and give Tellez a shot. This might be a little dramatic, but I could easily see it happen. 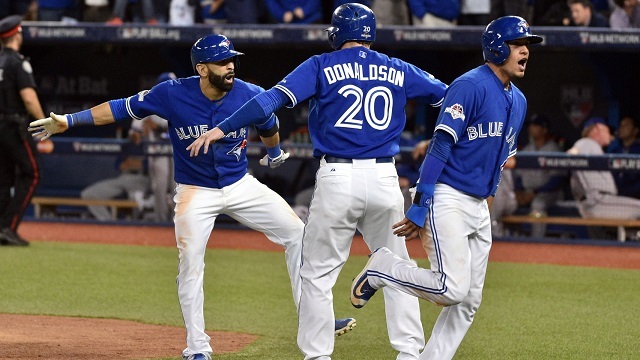 The Blue Jays are coming crashing back down to Earth this season. Everyone else in this division is trending up. Instead, the Blue Jays have done nothing to improve themselves while getting a year older in the process. The pitching staff won't repeat their performance from last year (although Marcus Stroman could have a breakout season), and the offense looks a lot like the Angels now, which is one of the weakest offenses in the game. They both have one superstar (Josh Donaldson), an aging slugger who is a shell of his former self (Jose Bautista), and a roster that otherwise sports more busts than bombs. I'm holding to my prediction from last season. Count this as year 1 of 10 upcoming years of futility north of the border. 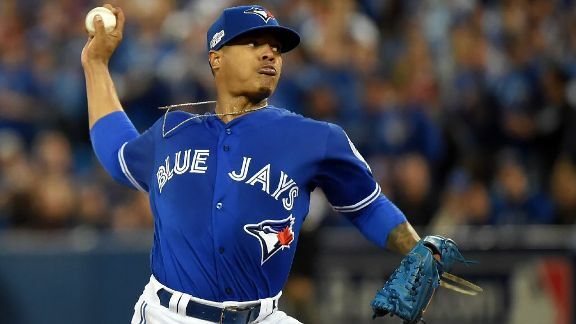 No Blue Jays starting pitcher will start more than 30 games. One of the reasons I see the Blue Jays falling apart this year is their pitching staff. They all had amazing seasons last year, but so many times seasons like that are followed by injuries. JA Happ, Aaron Sanchez, Marco Estrada, and Francisco Liriano all could spend significant time on the DL. Marcus Stroman is a stud, but I could easily see his workload in the World Baseball Classic catching up with him. Look for the Blue Jays to be scrambling for starting pitching by mid-season.